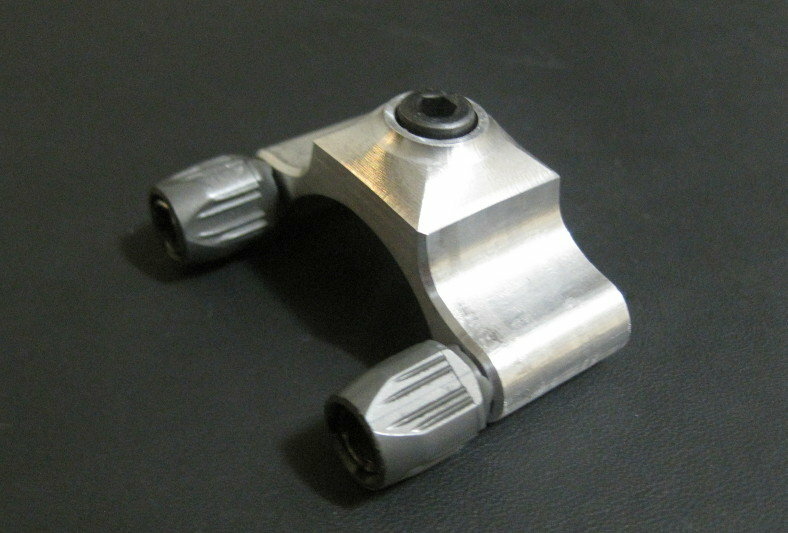 Through a meandering google search, I found an Australian cycling forum thread in which someone machined a few copies (tributes) of the unicorn Suntour aero mount cable stops. I am planning to buy 5 or 6 and put them up for sale on the sales forum here at cost (which would be about $20-25 shipped to the continental US). Shipping from Australia is $18 regardless of quantity, so this would save a bit on shipping for all of us. Would anyone here want one? Just trying to gauge interest prior to my purchase. More info to come as I finalize my purchase, and I will post pics momentarily. These would be for 28.6mm round downtubes, but he has apparently created an aero tube version as well. Also, they are threaded to accept standard barrel adjusters, as pictured, but he also has a non-threaded version. All of the ones I am purchasing will be threaded and will fit 28.6mm downtubes. Last edited by noobinsf; 09-10-18 at 01:11 PM. Seller’s pics here. He says he did not have an aero mount bike to demo the fit, which is why you see both the cable stop and downtube shifters in the test fit pic. Last edited by noobinsf; 09-10-18 at 01:22 PM. Looks like mounting is accomplished by drilling/tapping the DT? No thanks. Last edited by noobinsf; 09-10-18 at 01:29 PM. In another life time ago I owned a machine shop . I can really appreciate the fixturing and multiple opps that went into making this part . For 20-25 shipped IMO is a good deal , now had the guy had them anodize even better . Sorry but to answer your question , I don't need one . It also eliminates having to have cable guides above the down tube. That would be a new one for me, building a bike around a set of custom cable stops. Why not, though. I've done worse. Ok, thanks, all. I’ve ordered a handful, and I will post them for sale when I get them and get a sense of the quality. I should have them in hand in 2-3 weeks, so keep an eye out for that thread in the sale forum... Robbietunes and one other member through pm have dibs on the first two. I'm in. Please put me on your list. As much as I appreciate symetric shifting, barcons are better and the clamp-on cable stop is not pretty. That is an awesome sort of re-pop effort on this Aussie chap's part! Perhaps 14 years ago, quantities of the originals were available on Ebay for like $15 each, I bought one and still have it for my beautiful pearl-orange Bridgestone Triathlon Al, though kept the DT symmetric friction levers in place after I re-learned to like them. lol. That these new ones have adjuster barrel capability is a good nod to those who will be using STI or any other indexed front shifter, and the price seems more than reasonable. Wow cool. Really well done too. 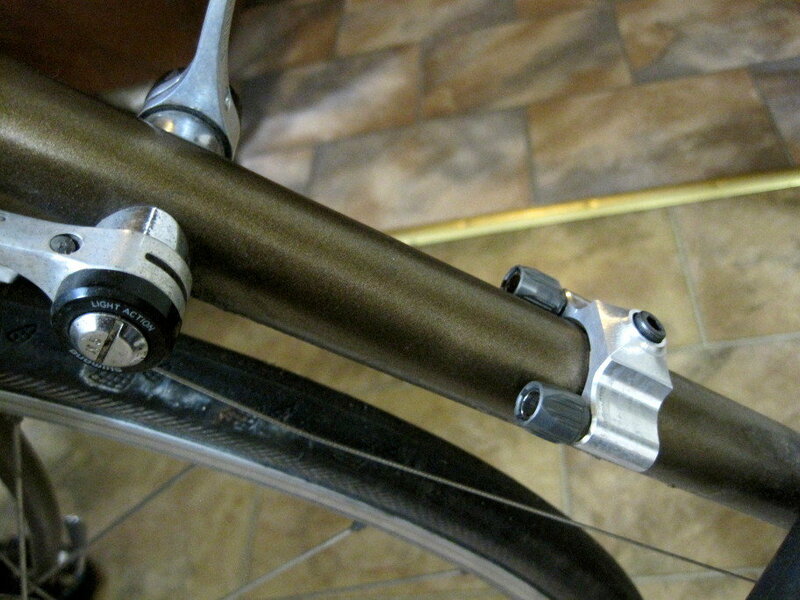 Top mount shifters were the cool thing for a couple years, and this will be a great help to those that have them. This subject seems to come up every now and again. Attention @Tradarcher, who asked for this very thing a few months ago in this thread. I also have no need for a set but am strangely attracted to ordering one "just in case". We are sort of a sick bunch. I'll take one, pm me when you are ready to sell. Thanks! Yikes, I might already be sold out! I’ll see if he can add a couple more to the box before shipping! Does anyone still have any of these? Edit: If none are available, my son does go to an Engineering Specialty Center/High School. They do have a CNC machine in their shop that he can use. I might have a project for him. Last edited by seypat; 11-07-18 at 10:03 AM. I know this thread is a year old. 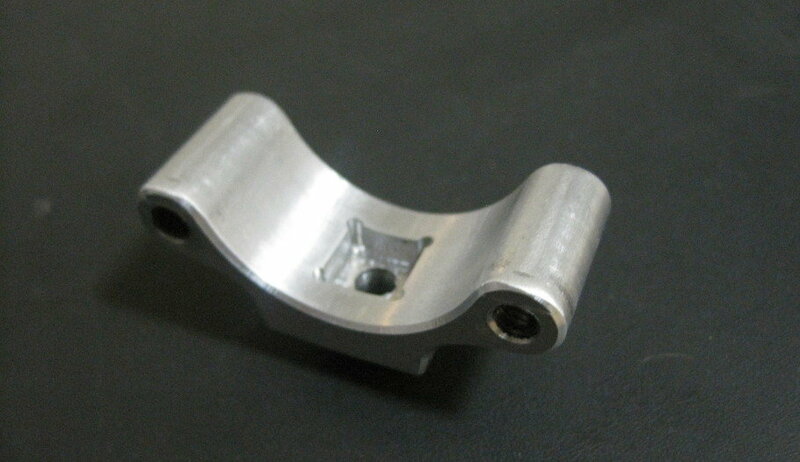 Are there any of these cnc machined aero mount cable stops left? Sign me up if it happens and the price doesn't go beyond $20ish. I have to see if I have any left -- I had a back and forth with the maker, who was apologetic that I needed to make further modifications. (I didn't mind the extra mods at all, but he was very gracious.) I ended up selling to a couple of folks essentially to make up for my shipping costs, and then things got messy at my job and diverted my attention from brokering these items. 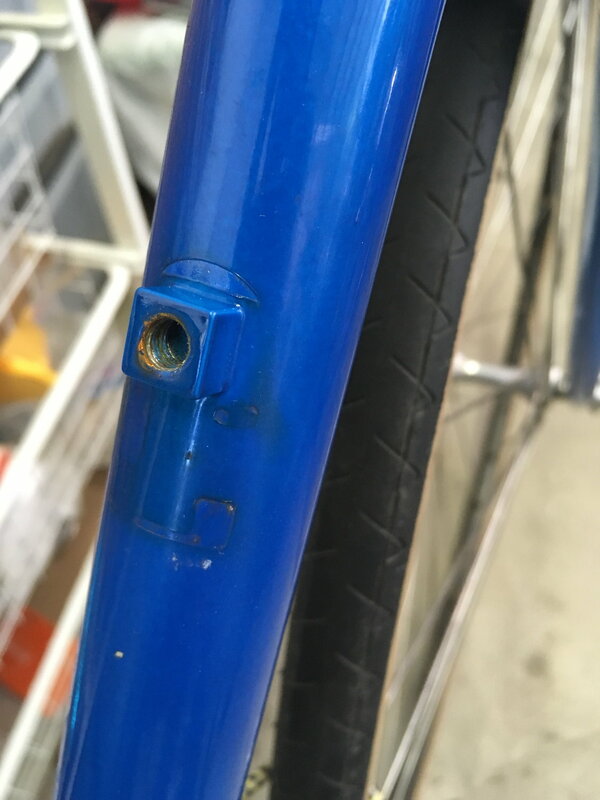 If you want to contact the maker directly, he is on bicycles.net.au, and his user name is "gm6046". I won't put his name and direct contact info on the wider web, but I would be happy to share that over private message if you want to get in touch with him. He was gracious and easy to work with. I just wanted to say, I bought one just to have it (not having a bike that needed one). Lo and behold, a fellow BF member needed one, and he ended up with mine. it is a very useful item, well made, and pretty. Hi, would anybody have an extra or did someone get more of these made? I have an extra and can send to you for a few dollars to cover shipping. The one thing to know about this piece when paired with the Symmetric shifter boss (which I also have) is that it will fit a little loosely. It should be simple to remedy, but I just haven't had the spare time to address it. My plan is to fashion a shim out of a piece of an aluminum can, but maybe you'll beat me to it. Oh, and the hole needs to be drilled out to 6mm, since it was made with a 5mm hole. (Incidentally, I have learned that the 5mm hole is a perfect fit for the equivalent Shimano aero boss of the same era.) I'll PM you to work out the details.